This strategy is anything but new, but I thought I would describe how it works in my classroom. 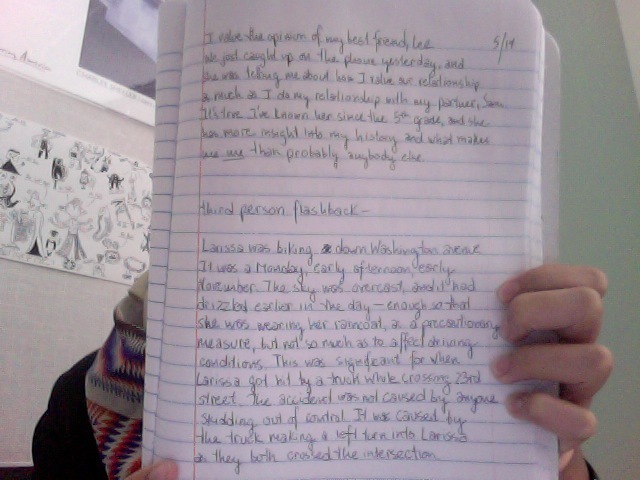 The first ten minutes of almost every English class I teach is devoted to journaling. We’re talking old school, marble journals, no talking, no thinking (too much), no stopping. I don’t like to police use of phones and other tech in my class, but for those first few minutes the class must be absolutely “tech free” — I describe as strength training for more arduous tasks like the SAT. One reason I don’t write in it every class period — apart from general fatigue — is that I let students read and reply to my journal. They have the option to leave their journal for me to read, and I value that. So it seems unfair that I wouldn’t also put myself out there. 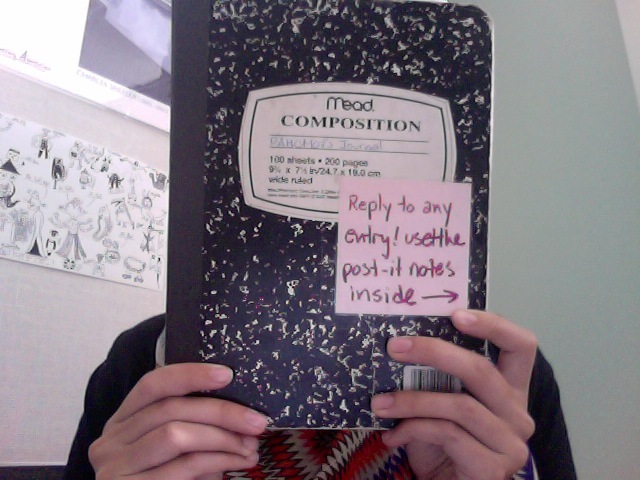 I can’t say that kids are clamoring for my journal every period. One way I often use it is by handing it to someone who is so clearly done writing for the day (even though the instructions are to just keep pushing through.) Sometimes this has no effect. Sometimes, though, they go a little bit nuts over the stuff I’ve written. If we share, I can read mine too. If I notice that I don’t want to write on the prompt, I’d better change it next time. And if students are making noise, my teacher glare is much more effective if I am also scribbling away. We are all in it. This entry was posted in SLA, Writing on September 25, 2012 by lpahomov.